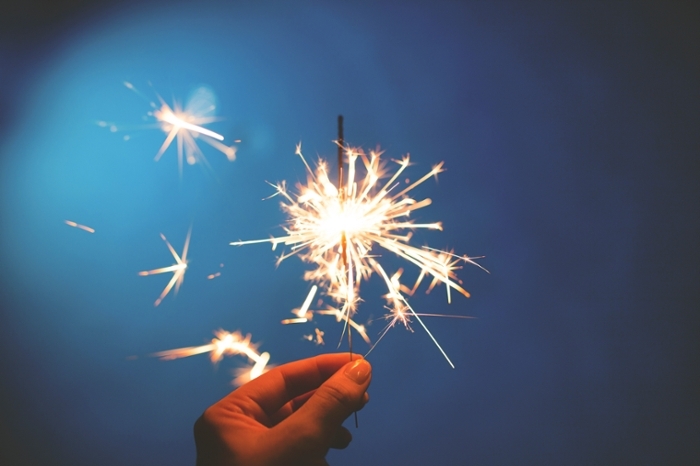 There's one simple ingredient that will boost scientific discovery across domains. Imagine you’re a scientist who wants to take your research farther and faster. You’ve heard there’s a magic ingredient out there that will help you do just that. But you’re not sure where to find this secret sauce or exactly how to apply it when you do. Secret ingredient. Science gateways are accelerating research and democratizing scientific discovery by bringing easy access to advanced computing and big data tools to more people. It turns out this special ingredient does exist. It’s called high-performance computing (HPC), and it can boost scientific discovery many times over. Research and analysis that once took months can be performed in weeks or even days. The problem is, scientists are specialists. They’ve spent years delving deeply into their fields and have become experts in those specific techniques, processes, and systems. Few are—or desire to become—equally expert in computational methods. Enter science gateways. Also known as virtual research environments (VREs) in Europe, science gateways are user-friendly interfaces that simplify access to advanced computing resources. Science gateways provide a streamlined, usually web-based interface to advanced technologies for scientists working in nearly every field—from chemistry, biology, physics, and medicine, to economics, agriculture, archaeology, and political science. These gateways are so fundamental to the future of scientific discovery that the National Science Foundation (NSF) funded the creation of the Science Gateways Community Institute (SGCI) to develop and sustain gateways that support a community-specific set of tools, applications, and data collections. 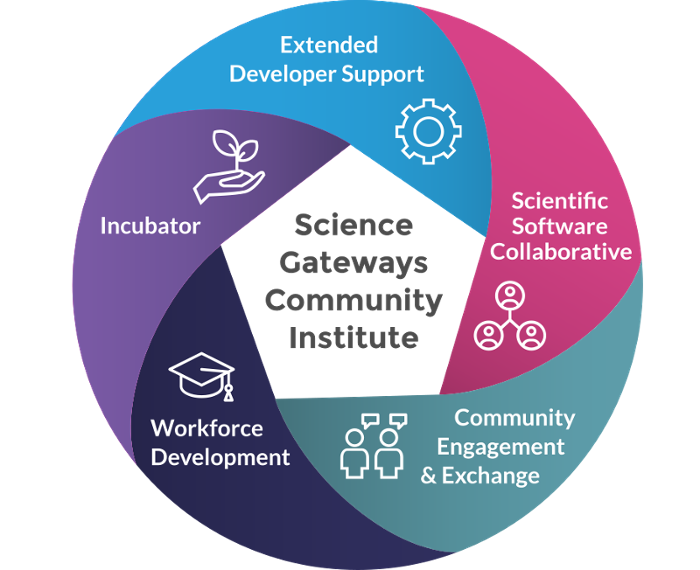 Gateways developers, like those working through SCGI’s Extended Developer Support (EDS), engage directly with scientists to truly understand the requirements of their specific domain and craft a custom gateway that meets their needs. At the Gateways 2018 conference in Austin, TX, gateways developers came together to share best practices, challenges, and success stories in gateways for everything from health and medicine to water sustainability, precision agriculture, and deep learning. 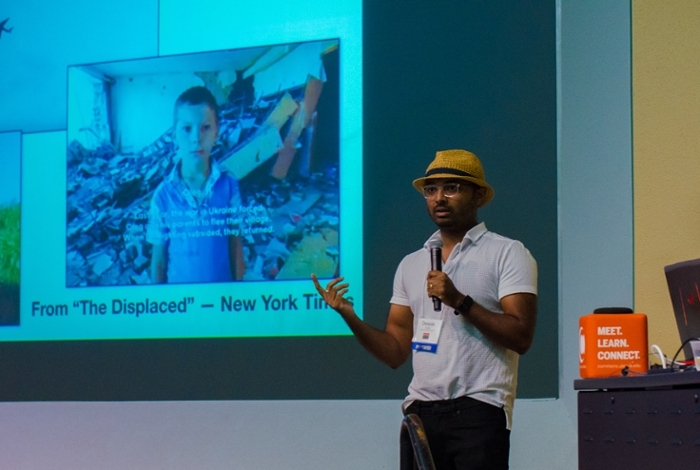 Immerj – Developed by students at TACC, Immerj simplifies post-production of immersive video content and helps journalists incorporate virtual and augmented reality into their reporting. DeepForge –This deep-learning platform from researchers at Vanderbilt University allows novices to quickly and easily design neural networks and machine learning pipelines using a simple, intuitive interface. Its design emphasizes simplicity, collaboration, and reproducibility. Social Media Macroscope (SMM) – Scientists in many domains have discovered the rich possibilities of working with social media data. A project of the University of Illinois and the National Center for Supercomputing Applications (NCSA), SMM provides an easy-to-use web interface making social media data, analytics, and visualization tools accessible to researchers and students of all levels of expertise. Dataverse – Harvard’s long-running Dataverse project is an open-source data repository for preserving, sharing, citing, and analyzing all types of research data. The Dataverse automates much of the work of a professional archivist, and makes it much easier for data creators to receive credit through a persistent academic citation. Gateways 2018 brought together a growing community of developers working together to enable better, faster, more reproducible research at institutions around the country. 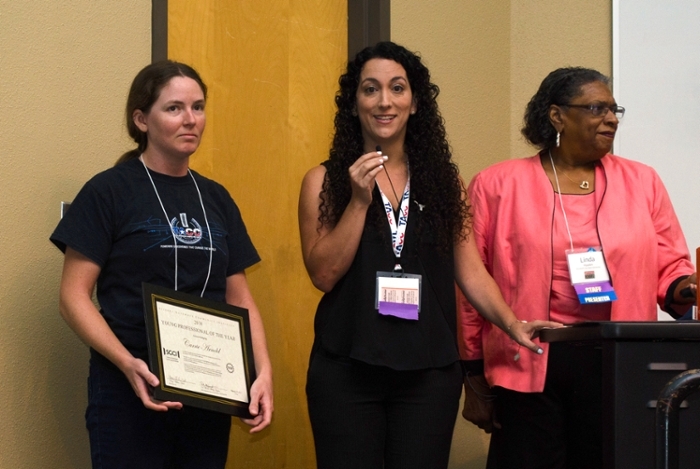 “One of our primary goals is to gather the community together to learn from one another and exchange experiences,” says SGCI principal investigator Nancy Wilkins-Diehr of the San Diego Supercomputing Center (SDSC). A secret no longer, science gateways are poised to accelerate research and increase discovery. When advanced scientific inquiry becomes accessible to more and more people, who knows what magic they may create.